Scan a QRickit to help homeless dogs! Pedigree and Walmart are using QRickits to help feed homeless dogs. 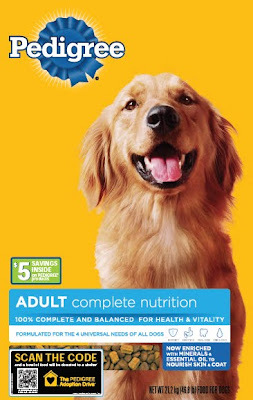 When a consumer scans the QR code on a package of Pedigree sold at Walmart a bowl of food will be donated to a shelter. QRickit is featured in JCPenny's ad in Cosmopolitan magazine. When scanned, consumers are directed to JCPenny's mobile site where they can view (and shop) the "Call It Spring" collection. The QRickit on this print ad lets users "Like" Hooters on Facebook to receive a Buy 10 Get 10 Wings free offer. QRickits are also used by Hooters to lead consumers to its Facebook page to interact with the brand and to enter a chance to win a trip.